Concerned over the low penetration of insurance, the insurance watchdog in India, Insurance Regulatory and Development Authority has proposed to sell micro-insurance products through chemists, kirana and petrol pumps to increase insurance penetration in the country. The regulator has proposed to allow individual owners of kirana shops, fair price shops, medical shops, petrol pumps,PCOs to be categorized as micro insurance agents. 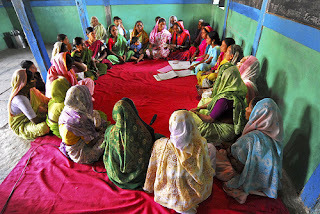 At present some NGOs, Micro Finance Institutions (MFIs), Self Help Groups (SHGs), District Co-operative Banks, Regional Rural Banks, Primary Agricultural Co-operative Societies and individual agents are working as insurance agents. "Since, these individuals have a physical presence and standing in these specific market segments as those of the existing Standalone Micro Insurance Agents, it is considered that they stand on similar footing along with standalone micro insurance agents," the IRDA said. The InsuringIndia.com founder, Bhavesh Sharma, commented that the industry will appreciate this initiative by the IRDA as this will greatly increase the insurance penetration in this very important segment.